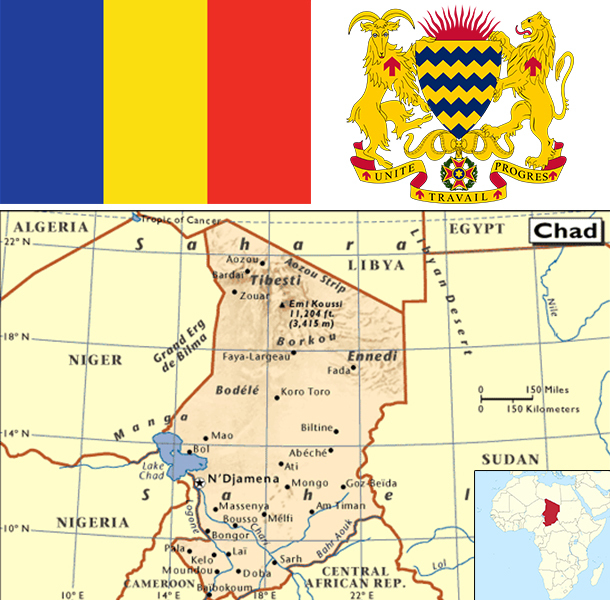 Chad, part of France's African holdings until 1960, endured three decades of civil warfare, as well as invasions by Libya, before peace was restored in 1990. The government eventually drafted a democratic constitution and held flawed presidential elections in 1996 and 2001. In 1998, a rebellion broke out in northern Chad, which has sporadically flared up despite several peace agreements between the government and insurgents. In June 2005, President Idriss DEBY held a referendum successfully removing constitutional term limits and won another controversial election in 2006. Sporadic rebel campaigns continued throughout 2006 and 2007. The capital experienced a significant insurrection in early 2008, but has had no significant rebel threats since then, in part due to Chad's 2010 rapprochement with Sudan, which previously used Chadian rebels as proxies. DEBY in 2011 was reelected to his fourth term in an election that international observers described as proceeding without incident. In January 2014, Chad began a two-year rotation on the UN Security Council. Chad’s landlocked location results in high transportation costs for imported goods and dependence on neighboring countries. Oil and agriculture are mainstays of Chad’s economy. Oil provides about 60% of export revenues, while cotton, cattle, livestock, and gum arabic provide the bulk of Chad's non-oil export earnings. Chad relies on foreign assistance and foreign capital for much public and private sector investment. The services sector contributes about one-third of GDP and has attracted foreign investment mostly through telecommunications and banking. Chad’s fiscal position is encumbered by declining oil prices, though high oil prices and strong local harvests supported the economy in recent years. Nearly all of Chad’s fuel is provided by one domestic refinery, and unanticipated shut-downs occasionally result in shortages. The country regulates the price of domestic fuel, providing an incentive for black market sales. Chad's investment climate remains challenging due to limited infrastructure, a lack of trained workers, extensive government bureaucracy, and corruption. Chad obtained a three-year extended credit facility from the IMF in 2014 and was granted debt relief under the Heavily Indebted Poor Countries Initiative in April 2015.